The Government of Canada surprises with another Express Entry draw held in no more time than a week since the previous draw. By the January 30th draw, the number of invitations issued this month rose to 11,150, making this the biggest start to a year in the Express Entry system’s five-year history. The minimum Comprehensive Ranking System (CRS) score in today’s draw was 438, a five-point reduction from the previous Express Entry draw held on January 23. It has been the lowest minimum score of the draws conducted through Canada’s Express Entry system since October 4, 2017. Today’s low score is attributed to the fact that there was just a one-week interval between last week and this week’s draw— less time between draws means less candidates get time to enter the Express Entry pool. The tie-break rule applied by IRCC in the January 30 draw was April 26, 2018, at 05:00:46 UTC. 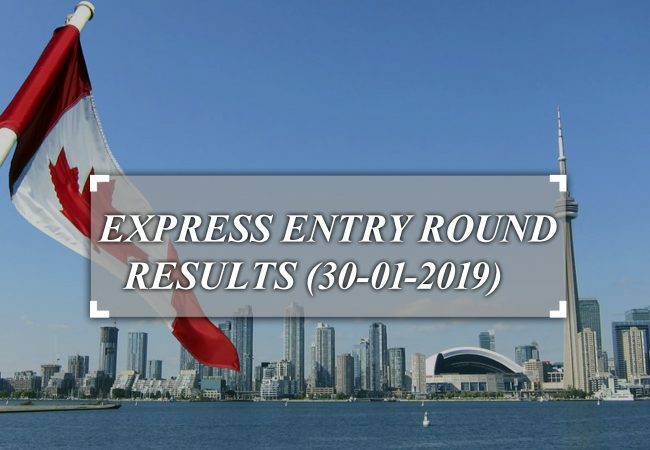 This means that all candidates who submitted their profile in the Express Entry pool before the selected date and time, and had a CRS score of 438 or above, received an Invitation to Apply (ITA) in this draw. The 3,350 ITAs issued in today’s draw brings the total ITAs of this month to 11,150 — the most invitations issued in January since the introduction of Express Entry system in 2015. This impressively quick start reflects Canada’s higher admissions targets for 2019 and 2020 through the three Federal High Skilled economic immigration categories. It is expected that IRCC will have to issue more ITAs over the course of this year than it did in 2018 in order to meet its admissions targets for 2019 and 2020. The Federal Skilled Worker Class, Federal Skilled Trades Class and Canadian Experience Class are Canada’s three Federal High Skilled economic immigration categories managed by the Express Entry pool. Candidates who fulfill the eligibility requirements for these categories are given a ranking score based on factors such as their age, education, work experience and proficiency in English or French, are entered into the Express Entry pool. Candidates with the highest score are then issued invitations to apply for Canadian permanent residence through regular invitation rounds.